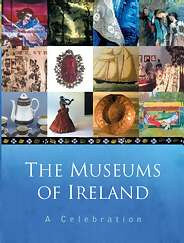 A beautifully illustrated, full colour guidebook to the best museums and galleries in Ireland. The Museums of Ireland provides detailed information on 80 museums and galleries in Ireland, North and South. Each listing includes information on the museums history and background, its most important features and collections, any highlights for 2006, a list of special programmes or educational courses, details on its location, opening hours, costs and other practical information and images of highlights from its collection. The guidebook includes all the major museums the National Gallery of Ireland, The Hugh Lane Gallery, the National Museums of Ireland, the Chester Beatty Library, the Hunt Museum and so on as well as very interesting smaller museums like the Sheelin Irish Lace Museum in Co Fermanagh, the Foynes Flying Boat Museum in Co Limerick, the Museum of the Master Saddler in Co Cavan and the Irish Agricultural Museum in Co Wexford. In each case, the reader will get a thorough understanding of the highlights of the museum and be able to view specific exhibits in full colour. The Museums of Ireland celebrates the diversity and high quality of museums on the island and will be an invaluable guide to visitors interested in Irelands cultural heritage as well as museum goers of all kinds.